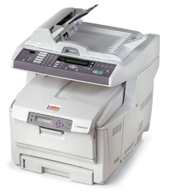 The MC860 MFP: all the benefits of tabloid-size color printing, copying.There has never been a multifunction product like the MC860 MFP. 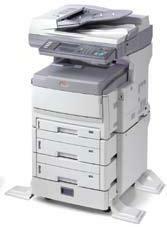 Never before has a fast, wide-format color MFP been so affordable. 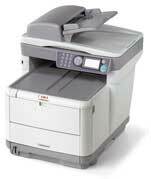 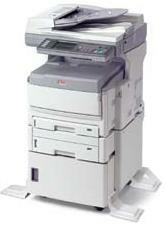 Never before has a networked tabloid color MFP had such a remarkably small footprint. 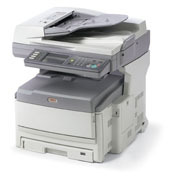 The MC860 MFP from OKI Printing Solutions is a ground-breaking combinationand a giant step forward in wide-format printing, copying, scanning and faxing for your business.